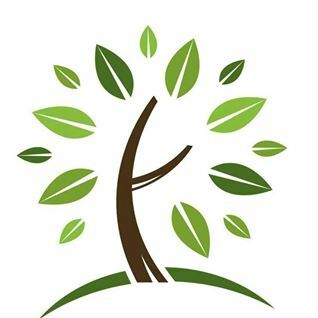 Continuity of Care of Citrus County is a Networking group. Social Meetings designed specifically for industry networking will be held periodically. These events will provide an opportunity to showcase your business through sponsorship. Great Networking Opportunities. CCCC held the Puttin' on the Ritz event in March at Citrus Hills Golf and Country Club and the benefactors for the proceeds were Find-M'Friends and Nature Coast Hospice. It was a wonderful evening and the FMF President was asked to be part of the dance competition with a bloodhound as her dance partner. Linda and Zoe took the floor, but FMF had exciting plans... suddenly the music switched to Who Let the Dogs out and the entire kennel of bloodhounds entered with FMF members. It was a wonderful way to say thanks for the support! Continuity of Care of Citrus County, Attorney Lora Wilson, Colonial Pawn Inc., LePage Carpet & Tile, Sheldon Palms Insurance, New Horizons Senior Center, Good Fella's Roll Off and Waste Disposal, Love Chevrolet, Absolute Law, Seafood Seller. Maderi Caretenders, Grand Living and Highland Place!!!! We are humbled and honored for all the support and kindness that was bestowed upon the organization from you all. It was very greatly appreciated. FMF Ally was placed with Citrus County Sheriff Office in October 2015. Ally was the first bloodhound to be gifted to LE. so far she has had a great career and has had several finds. She found where a small toddler lived as the child was found wandering down a road and was unable to tell deputies his name or address! But Ally scented off the child's jacket and was able to take the handler back to the child's home so the child was safely reunited with family. She also has had several finds of elderly people with memory problems. 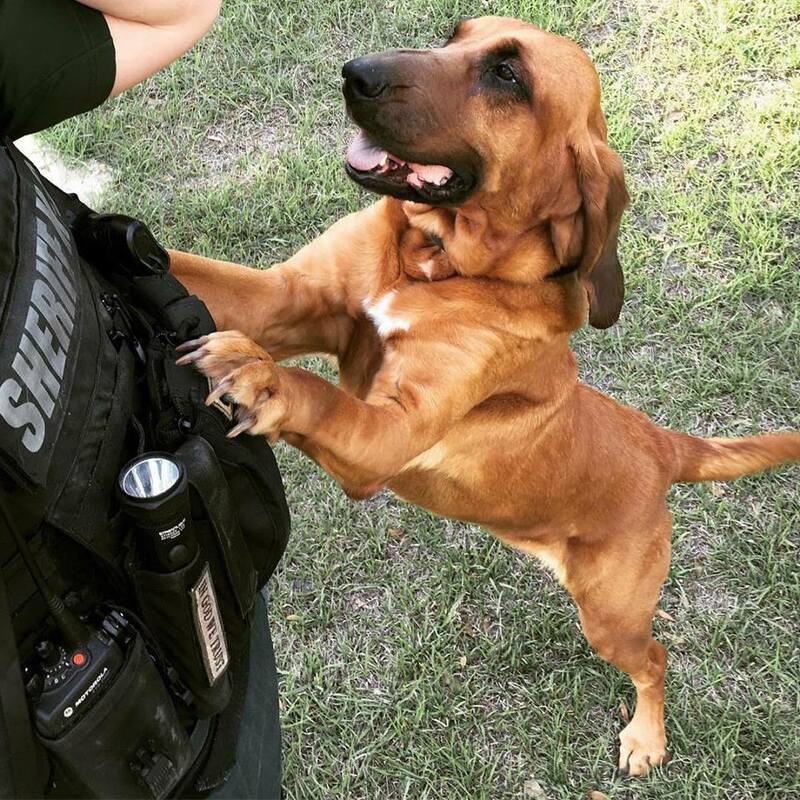 She is a bloodhound full of loving personality and is excellent at trailing. Her handler is Deputy Williams and she also has a patrol dog named Samson she works and lives with when off duty. FMF is very proud of her placement and her success. Our Mission: Enhance and increase the use of scent discriminating bloodhounds in searching for the missing or lost. * Provide educational and /or demonstrations on how and why bloodhounds are so useful to find missing person. * Provide Out of Harms Way scent kits so the public can store a loved one's scent in event they become missing. * FMF purchases and trains AKC bloodhound puppies. Once they are trained to scent discriminate they are gifted to Law Enforcement and SAR handlers to assist in finding missing persons. Thank you, EZ Pull Trailers!! Find-M' Friends, Inc. is blessed to be based in Citrus County. The community, its Sheriff's Office, citizens & local businesses have embraced our organization and its cause. 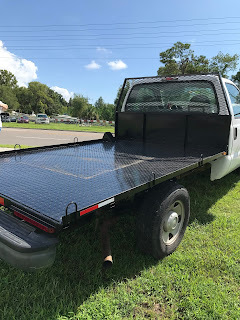 EZ PULL TRAILERS, LLC of Crystal River! They generously provided us with a flat bed for our truck! We use it extensively at Find-M' Friends' Thrift Store. Help FMF bring the missing home!